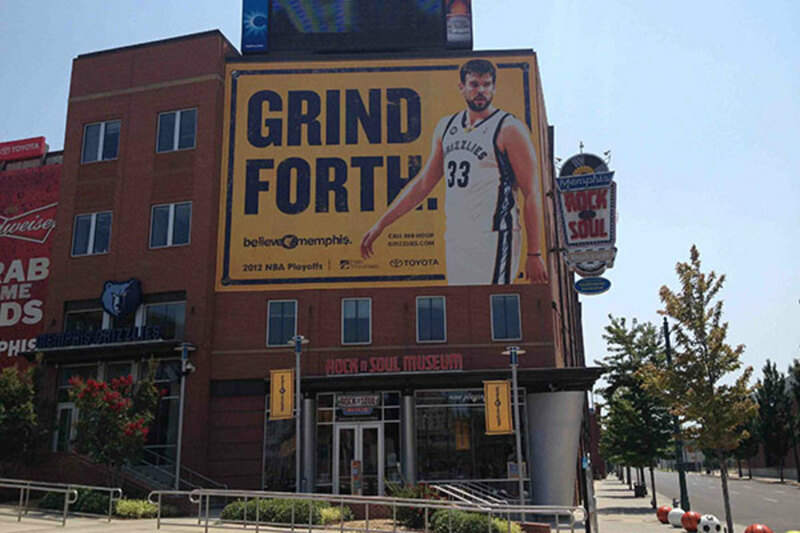 Is 'Grit & Grind' Fair to Memphis Sports? A local historian certainly doesn't think so. Last week, ESPN NBA analyst Bill Simmons annoyed many by suggesting that the crowd at a Memphis Grizzlies playoff game against the San Antonio Spurs was so nervous because of lingering feelings from the Martin Luther King Jr. assassination. While that&apos;s a big oversimplification, sports in Memphis are interesting beyond that comment—or at least the way we talk about them is. The only top-level pro team in the city are the Grizzlies, and they&apos;re now characterized by "Grit & Grind," something shooting guard Tony Allen said in an interview a few years ago describing the team&apos;s playing style—the thinking being: The Grizzlies are a big, physical, hard-working team in a league that seems to be moving faster and faster toward more outwardly-skilled players who tend to be smaller and take more three-pointers. The Grizzlies, then, were considered the manifestation of Memphis. It&apos;s easy enough to say, and it sort of made sense. But it&apos;s not really true, and it&apos;s not necessarily fair to the city to try to paint such a clear picture of it. (It also ignores the fact that Memphis employs the most-skilled center in the NBA and hired one of the most-prominent NBA analytics writers to be a part of their front office.) So, I got in touch over email with Jimmy Ogle, a famous local figure and a Man of Memphis who&apos;s something of a keeper of the city&apos;s history. Ogle grew up in the area, went to school at the University of Memphis, and appears to have won just about every award a human being can win in Memphis. I asked him about sports, the city, and what those things mean to each other. What did you think of the comment made by Bill Simmons when I sent it to you? Beyond it being an oversimplification, is there any relevance to it? Very little. Memphis did not kill Dr. King. A Memphian did not kill Dr. King. In Dr. King&apos;s long odyssey throughout the South and the nation for equality, his last march of his life was in Memphis (March 28, 1968); his last speech of his life was in Memphis (April 3, 1968, "Mountaintop" at Mason Temple); and his last breath was here (April 4, 1968, Room 306 balcony of the Lorraine Motel). He lived in Atlanta. He was stalked by a deranged criminal (James Earl Ray) throughout the South that spring of 1968 (read "Hellhound on The Chase" by Hampton Sides, a Memphian that I car-pooled in the 1970s as he was a friend of my younger brother). The unfortunate assassination occurred in Memphis by circumstance, and is now the site of the most watershed moment of the Civil Rights movement in the nation and in the world—the Lorraine Motel (bought on the Courthouse steps for $120,000 in 1982)—is now the National Civil Rights Museum (since 1991) and currently being upgraded with $23 million in improvements. So, "sports psyche" vs. "MLK assassination" = only in the minds and actions of the local race baiters for profit or 2013 political gain and grandstanding. It does make good media fodder though. "Memphis is a very racially divided city to this day, not because of the MLK assassination, but because the leadership in power now wants it that way." Maybe a better way to look at this—rather than "how does this one moment affect sports fans"—then, is to turn it around and ask and admittedly general question: What kind of role have sports played in the history of the city? As in any city in modern America, sports plays too big of a role. Too much money, attention, media are diverted away from the "real" needs of a community, but that&apos;s America, and capitalistic America at its best (worst, I think). I grew up in Memphis as a big "sports only" kid in the 1950s and &apos;60s. In fact, my sister tells a story that if it had not been for the sports page of the local newspaper, I would have never learned how to read! I was really into the stats (names, lineups, standings, percentages, lists, scores, etc.). My sports interest morphed into parks and recreation, then tourism, then history—and the combination of all that over the past 40 years is what I am today. As "hobby jobs," I have been on the University of Memphis Stat Crew (for many sports, men and women) since 1975; I was the Grizzlies first clock operator in Memphis in 2001-03 and the NBA flew me to seven cities as "neutral time keeper" during the playoffs in 2002-03; I have been a PGA Tour and AJGA calligrapher (even made the enlarged scorecard for Al Geiberger when he shot the first round of 59 ever on the PGA Tour in Memphis in 1977; edit the FedEx St. Jude Classic Media Guide each year and help with the Liberty Bowl media guide and stats crew. So I have my fair share of firsthand, sideline, and administrative experience with college and professional sports in the Memphis area—and last season I served as a back-up clock operator or scorebook keeper at three colleges (Ole Miss, Rhodes, CBU) and for the Grizzlies, while also being the full-time clock operator for the Memphis Tigers and other (non-Grizzlies) games in the FedExForum (like the Globetrotters). The City of Memphis did rally around Gene Bartow, Larry Finch, Ronnie Robinson, and Larry Kenon in its magical run to the National Championship game in 1973 (against UCLA and Bill Walton) and U. of M. men&apos;s basketball has been the bell cow of the Memphis sports scene for the past five decades. (See Coach Calipari and Derrick Rose’s run to the National Championships game in 2008, but that&apos;s erased from the record books.) Memphis has one of the oldest PGA Tour tournaments, a long history with minor league baseball, and now the past couple of years with the NBA Grizzlies. But the Grizzlies cannot sell 50 percent of the building for season tickets, and a person on game day can get a ticket for five dollars. Name me another city in the NBA that has that offer. Memphis sports fans are "front runners" for the most part. Even with the Men Tigers&apos; success, there are several thousand empty seats in FedExForum each game. A Tiger football game can barely scratch up 20,000 fans (regardless of promotion and free tickets). Memphis is a "participation" city more than a "spectator" city, and there are numerous amateur athletic teams and events in all sports and activities. So, we make these generalizations about sports fans—Cubs fans hate themselves, Duke fans are snobs, Phillies fans are jerks, etc.—and they&apos;re just that: over-simplified generalizations, but ones that still come from somewhere. How would you describe the sport-fan culture in Memphis? "All talk, no do." Mostly "front runner," but there is a small diehard core for each team. A team in Memphis must win first to get fan support, rather than have full fan support at all times. Memphis is a "tale of two cities." The five-county Metropolitan Statistical Area (MSA) is 1.2 million people, but Memphis itself is only 620,000. Of that 620,000, 70 percent is black, and 27 percent of that 70 percent is below the poverty level. Memphis is a very racially divided city to this day, not because of the MLK assassination, but because the leadership in power now wants it that way. What about the Grizzlies? They&apos;re the only top-level pro team in the city—plus, they play basketball, which seems to be an important sport in the city—so do they hold some kind of special place? The Grizzlies&apos; place in Memphis is growing and the organization has worked very hard since 2001. Of all of the major sports worldwide (football, baseball, basketball, soccer, hockey) the Grizzlies won the Beyond Sports Award in 2012 for the most community-minded and giving professional sports franchise in the world! The Men Tiger season ended in March, and the Grizzlies had sole possession for the past two months of all of the disproportional sports attention that Memphis media and cheerleaders (like the Memphis Convention & Visitors Bureau and the Greater Memphis Chamber) could hype. And of course that local media, which apparently the two most selling stories in Memphis for local media are crime and then basketball. Watch the 10 o&apos;clock news. The running narrative among most sportswriters during the playoffs was that the Grizzlies were a hard-working, "blue collar" team that played a more deliberate style than is common in today&apos;s NBA. That, then, was taken as a representation of the city. 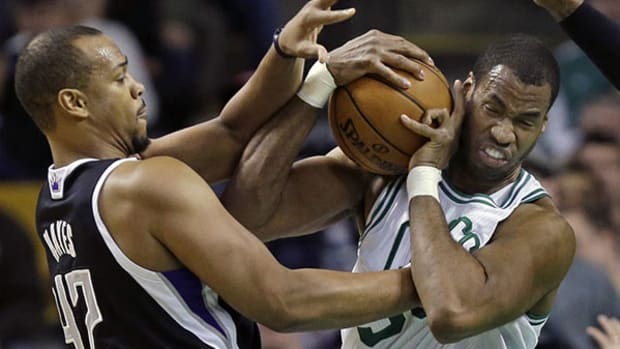 "Grit & Grind" was the saying that came with it. Do you buy any of that? Some, but not much. It&apos;s been a good slogan, but Memphis is a city of haves and have-nots. There is no middle class (or a very small middle class), which makes it so amazing that this city leadership can continue to hype sports and sports facilities while the stark issues of poor education, crime, litter, and race relations go unattended and continue to strangle the city. 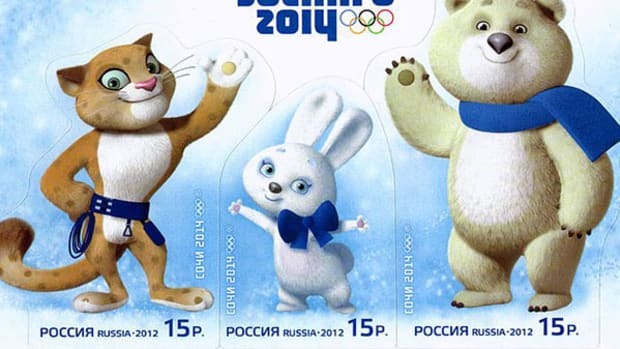 If a team is going to represent a city, at least have a good mascot, right? “Grizzlies” is a holdover from when the team played in Vancouver. What would a better name be? We had Grizzlies in the 1970s with the World Football League. John Basset moved the Toronto Grizzlies (Northmen) to Memphis, kept the grizzly bear mascot and Northmen became Southmen. We even signed Larry Csonka, Jim Kiick, and Paul Warfield away from the Miami Dolphins in 1975 and had Danny White as a QB before he went to Dallas! But Memphis and Birmingham were the only two strong franchises in that poor summer football league, and it lasted only two years. There are enough black bears in Mississippi for that University to change its mascot from Colonel Rebel to Black Bear, so go figure. I do not know of a better name, as Utah has the Jazz, and L.A. has the Lakers. The Seattle Sonics did become the OK City Thunder—maybe a musical name. One of the names for the minor league baseball team in the 1970s was the "Memphis Blues," previously the Chicks (for the Chickasaw Nation here) and now the Redbirds (affiliates of the St. Louis Cardinals) but they’re another struggling sports effort here, as far as getting real fans in seats goes. 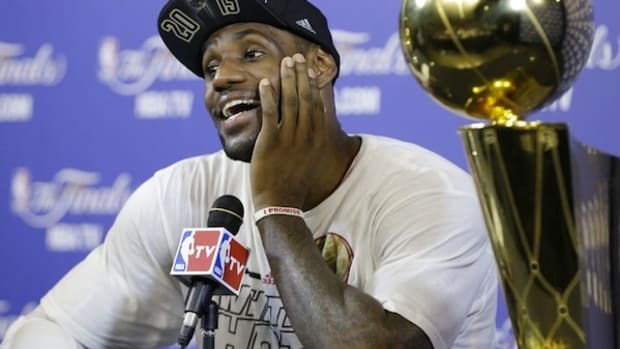 LeBron James, Michael Jordan, and the meaninglessness of being the best. What's the Greatest Record in Sports History? 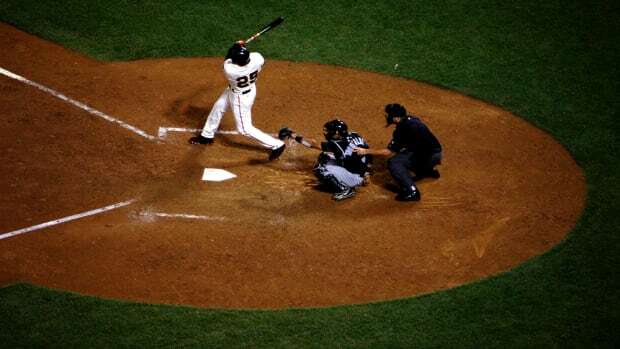 A new study says it belongs to Barry Bonds, but probably not for the reason you think. The 12-year veteran makes his announcement in this week's issue of Sports Illustrated. 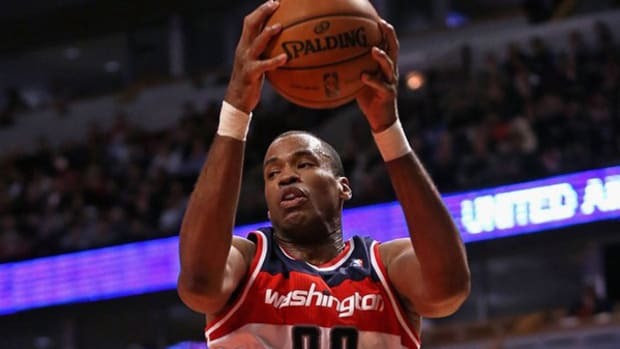 The NBA’s Jason Collins’ revelation of his homosexuality may seem revolutionary, but in fact it’s the culmination of a trend.